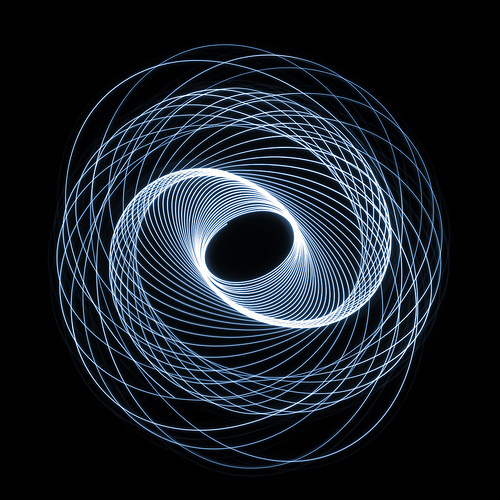 To create a physiogram is a fairly simple process, though it might take a few tries until you get a shot you really like. 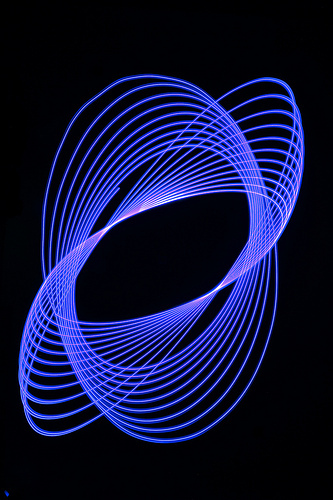 A physiogram is a type of light painting, so you will need to do this at night or in a room with no windows. First you need a light source, a small pen torch works well for this. Attach the torch to a piece of string, and attach the other end of the string to the ceiling (or something overhead). Make sure the torch will swing okay on the string. Set the camera's exposure mode to manual, and use a small aperture and low ISO setting. For the shutter speed you can experiment, but using the bulb setting works well. In bulb mode you press the shutter button to open the shutter, and then hold it down. When you release the shutter button then the shutter will close and the exposure ends. It is a good idea to use a shutter release cable. Shutter release cables allow you to lock the shutter open, so you don't need to be constantly holding the shutter button down during the exposure. Set the focal length / zoom of the camera to be quite wide. How wide you need really depends on how near to the camera the light source is, and how large the swings are. So you might need to do some experimentation here. For taking the photo, you want to place the camera on the floor directly below the torch, with the lens looking up at the torch. But before you do this, it is a good idea to set the focus of the camera. To set the focus, make sure the camera's autofocus is switched on. Put something on the floor where you are going to place the camera. Now hold the camera at the same location as the torch and autofocus on the item on the floor. (Having the item on the floor where the camera will be placed helps the autofocus lock on compared to focusing on a plain floor). You will probably want all the lights switched on while you are doing this to make sure there is enough light for the camera to autofocus. Once it is focused, switch the focus mode on the camera to manual focus. The camera is now focused the correct distance between the light and the floor, so you can place it on the floor below the light. Turn off all the lights (except the torch), swing the torch, and start the exposure. An exposure time of 30s - 60s is a good starting point for the exposure. You can experiment with different exposure times, and different swings of the light to get different effects. There are also many other things you can do to create looking images. For example, you could trying using a flashing light. Or attach multiple lights to a stick, and then swing the stick from the ceiling. Another thing you can do is to combine multiple exposures into a single image. 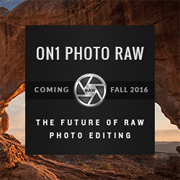 This can be done both in-camera or using photo editing software. 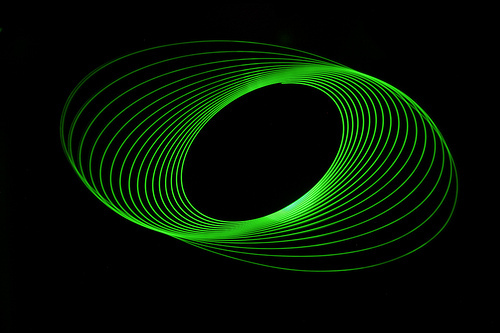 To do it using photo editing software, such as Photoshop, take multiple photos of different light patterns. You can try using a different colored light for each shot as well. In your photo editing software, load the photos into layers on top of each other and set the blend mode of the layers to 'lighten' or 'screen'. To achieve the effect in camera, take the first photo using the bulb shutter setting. When you are done, don't release the shutter button to close the shutter, but keep the shutter open. 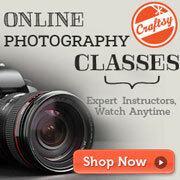 Instead place the lens cap back on the lens. 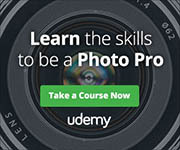 Now set up the 2nd shot, and when you are ready, just take the lens cap off the lens again. Repeat for as many 'shots' as you want to combine in one image, then release the button to close the shutter. 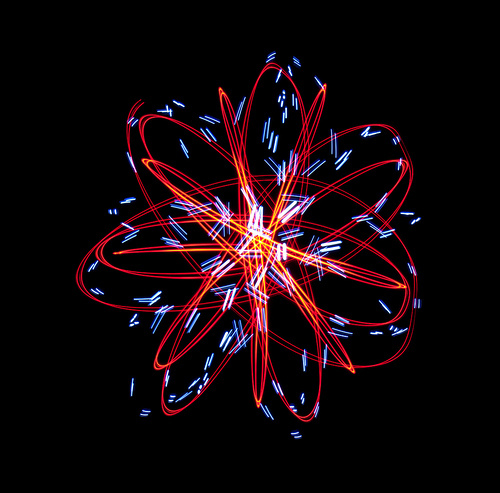 Pysiograms can create some very nice abstract light painting photographs, the patterns similar to that created by a Spirograph. They are quite easy and cheap to create, so why not give it a try.